Superintendent of Police, Linden Flowers is the new commander of the Gang Suppression Unit. The news broke this past Tuesday that the career officer was bumped up the chain of command to replace Assistant Superintendent Marco Vidal as head of the GSU; Vidal retains Special Branch. Considered both affable and outspoken, the forty-seven year old law-enforcement veteran started policing at the age of seventeen working in numerous police units, serving as prosecutor and magistrate. 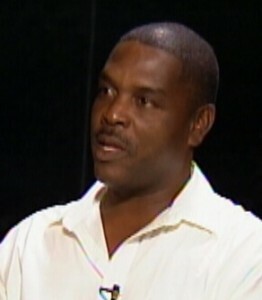 At the time of his appointment, Flowers was the commander at the police training academy in Belmopan. This week he inherited Vidal’s GSU; we sat down with him today to get an idea of what his imprint will be on the GSU. “In the months leading up to this date where the gang suppression unit is concerned, police officers across the country have been doing house raids, have been doing house searches, have been confiscating large quantities of marijuana, cocaine, firearms and ammunition. You don’t hear of the kind of excitement that comes around with the gang suppression unit. For one reason or the other, the unit has attracted that kind of attention. It is my intention that we will not be looking at the gang suppression unit, but looking at the criminal elements at hand; the crimes that have been committed or the investigation that we are required to do to make sure that it is not the gang suppression unit that is looked at in the media, but the persons that have been possessing drug or illegal weapons, drugs and ammunition or doing things that are gang related; that will facilitate further the agenda of the persons who are so calling themselves gangs.